I last drove a Nissan Maxima in November 2013, and my conclusions were very positive, asserting that I would willingly drive another one. However, I went on to say that I expected that I would probably not get the chance to drive that particular version, as the rumours department were predicting the imminent launch of an all new model. They were, of course, correct that Nissan was working on a replacement for the largest saloon-bodied car that they sell outside Japan, but the timing was not quite right. 2014 came and went and there was still no sign of a car which many were now saying was falling seriously behind the class in terms of available features, the sort of electronic gizmos and Infotainment capabilities that everyone expects these days, even if few people use much of what is now being provided. Nissan did tease us with their Sports Sedan Concept car, though, which was first presented at the 2014 Detroit Show. It looked quite unlike the still current Maxima. Despite Nissan asserting that this Concept was just that, when the new production 8th generation model was launched at the New York Auto Show in April 2015, following the release of a couple of photos and a teaser image in a Nissan ad at the SuperBowl a few weeks earlier, it looked remarkably like that 2014 Concept car, with the usual sort of changes that have to be made for production purposes. Kudos to Nissan for doing so, and also praise to them for coming up with a design which managed to look very contemporary but lacking the fussiness and unnecessary styling embellishments which afflict many new designs, of which Toyota and Lexus are perhaps the worst culprits. With a raft of new features, this was Nissan’s 4 door Sports Sedan brought up-to-date. 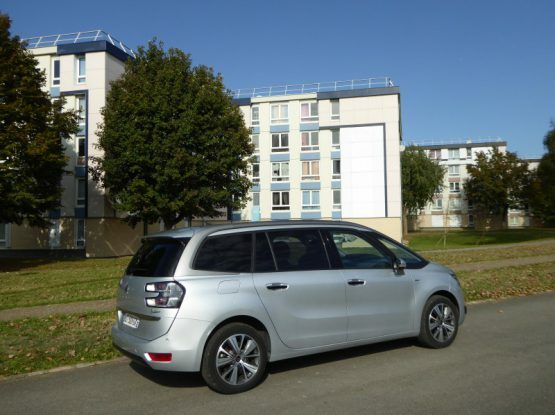 The first couple of examples arrived in the Hertz rental fleet in September 2015, but as is often the case, these were immediately snapped up by people who are clearly faster off the mark than me in reserving brand new models. It was a car that I was eager to try, and my chance came on arrival at Phoenix’ Sky Harbor airport on a Friday evening. Usually this is a time of peak availability, but the parking area was largely deserted, with only the odd car that was not a Toyota Yaris parked up. I could see nothing in the area where my car was parked which looked even close to what I had reserved, but then when I got to the declared space for my rental, there was a Brilliant Silver metallic new Maxima. I did not pause for one moment in deciding whether to accept it or not, as is usually the case. I simply loaded up my case, and got in it. Two things struck me as soon as I opened the door of the test car. 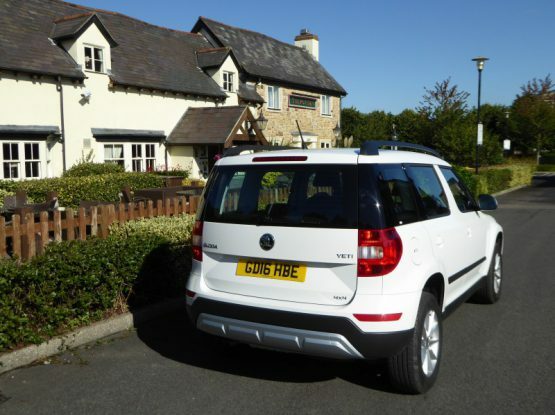 The first was the very characteristic smell of new car, which was perhaps not a surprise, as I discovered that this car had just 57 miles showing on its odometer, meaning I was almost certainly its first renter. Second was how different it looked from the interior of the last Maxima, and indeed any other current Nissan. 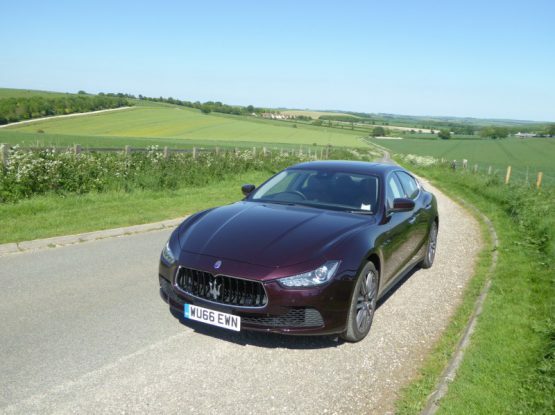 Comments about the old model being somewhat behind the pack, not just in terms of standard features but also interior ambience have clearly been taking on board and addressed. Although the seats in this version were cloth trimmed, there is lots of leather used on the door casings and soft touch surfaces and quality looking plastics abound. A large colour display screen sits in the middle of the dash, looking very much like 2016 rather than 2010. Closer inspection does nothing to dispel the good first impression. There is a metal effect inlay which stretches from the door casings, around the dash, with an unusual texture as well as judicious use of some gloss black finishers around the display screen and chrome highlighting which adds some colour contrast. The driver is presented with two large electronic dials in the instrument binnacle, for rev counter and speedometer, and between them is a digital display area, the menus of which are cycled through by pressing buttons on the left spoke of the steering wheel. Minor controls are operated off a pair of column stalks, with lights controlled by the left hand one, as well as the indicators, and wipers operate from the right. The centre of the dash is dominated by the large 8″ Nissan Connect display screen, which has an array of functions available either through its touch screen interface or by using the turn wheel mouse on the centre console. The system is straightforward and easy to use, and it includes helpful features like voice-controlled navigation and hands-free messaging. Physical actions that you’re used to on your smartphone or tablet, like swiping or pinch-to-zoom, also work on the Maxima’s touch screen. Standard features of Nissan Connect include an eight-speaker sound system, satellite radio, HD Radio, Bluetooth, two USB ports, navigation, voice command recognition and two display screens: an 8-inch touch screen in the centre of the dashboard and a 7-inch display in the instrument cluster. The infotainment system can be controlled with either the touch screen, which recognises smartphone-style gestures like swiping and pinching, or a dial controller knob that’s mounted on the centre console. Below the screen are the buttons for the dual zone climate control, whilst those separate buttons still needed for the audio unit are to the side of the screen. Keyless starting features and the button to start and stop the engine is at the base of the central part of the dash, where it is easy to see and reach. The whole set up is intuitive and did not take me more than a couple of minutes to assimilate before setting off to check in to my hotel. Accelerating away from the Sky Harbor Rental Garage it was immediately clear that this is both a smooth and refined as well as quite a potent machine. Using an updated version of the 3.5 litre engine that was seen in the previous generation car, there are now 300 bhp and 261 lb/ft of torque available, which is generous for a car of this size, and coupled with Nissan’s X-Tronic CVT gearbox which is good enough to cure anyone’s aversion of this technology, as I was to discover during the following 2 days, this does make the Nissan pleasingly brisk. There’s always plenty of power available, no matter what speed you are starting from, and it is delivered in a nicely linear fashion. The CVT has been refined to embrace what Nissan call “D Shift” logic, which simulates actual gear ratios. It means there is none of the lag or jerkiness you can get with these transmissions when accelerating or braking, and the system seemed to keep the engine at an optimum point for acceleration when needed without compromising on noise levels. The Maxima remains a front wheel drive car, which some will say is in direct contradiction to the claims that it is a 4 Door Sports Car, a point which is emphasised by the 4DSC label which is inset into front and rear light clusters. (look hard, to see them!). In extreme, they could have a point, but in normal motoring, I think most will be more than happy with the way this big Nissan steers and handles. There is plenty of feel in the steering and the car went around the bends very nicely, with the suspension holding the car flat, devoid of body roll, though there was one occasion – a swooping freeway intersection – where a touch of understeer was evident. In normal motoring, everything will be fine, and the driver is more likely to be enjoying the fact that on the standard 245/45 R18 wheels, the car rides well, goes well and is very relaxed and refined with it, yet when a burst of speed is required, it is there just by flexing the right foot. The engine lacks the characteristic growl that you used to get with some Nissan and Infiniti models that used this engine in a previous guise, but the extra refinement will doubtless be appreciated by passengers on a longer journey. The brakes proved powerful and effective, with a nice progression to the pedal. There is a foot operated pedal for the parking brake, which I confess I did not use. The one weak (ish) spot is visibility. With a relatively high waistline and the sloping rear end, judging things behind you is not that easy, though Nissan do fit a rear-view camera which projects a nice clear image onto the display screen, which helps a lot. During the course of 2 days, I managed to add 406 miles to the Maxima’s odometer, and I had to put 14.1 gallons in to refill it, which computes to 28.79 mpg US or 34.4 mpg Imperial, an excellent result for a car of this size, weight and power. The Maxima is not found wanting when it comes to accommodating people, either, though those seeking the roomiest of cars for this sort of money will feel short-changed. Front seats have electric adjustment, though I was slightly surprised to find that there was no lumbar support, but then this was the entry level S trim. Even so, with the seat and wheel set, there was a very good driving position, and what Nissan call their “zero gravity” front seats certainly proved comfortable for a trip down the I10 to the Tucson area which is where I took the car on its first day. Those in the back are to some extent dependent on the front seat occupants for their comfort, Set the front seat forward, as I have to do, thanks to my short legs, and there is ample legroom, but position the chair towards the rear of its travel, and rear legroom looks a bit lacking. Width across the seat is less of an issue. There is a drop down central armrest which has a pair of cup holders in its upper surface. Headroom proved sufficient. Just. the sloping rear roofline may contribute much to the visual appeal of the Maxima, but it also takes a couple of inches away, so whilst my head did not touch the rooflining, it was pretty close. 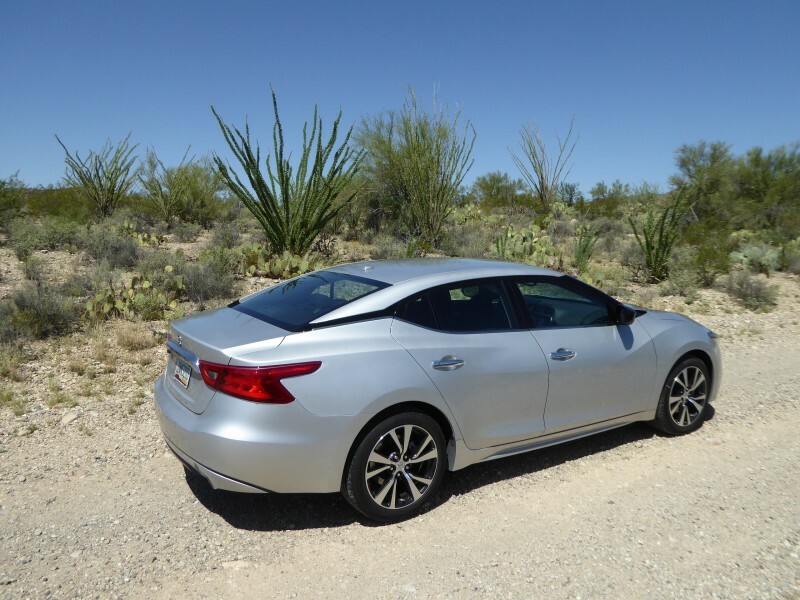 The Maxima is actually slightly smaller inside than the Altima, but it is still likely to prove more than generous enough for most people’s needs. The boot is not the largest you will find in this class of car, either. It is a nice regular shape and there was a net to allow you to secure small items, which would prove useful. The rear seat backs can be folded forwards to create extra capacity and length. A spacesaver is located under the boot floor and there is a bit of space around it for odds and ends Inside the cabin, as ever with a Nissan, there is a vast glovebox, which goes forward a long way, there are bins on all four doors, a cubby under the central armrest, another small area to the right of the gearlever and in the back there are map pockets in the back of the front seats. Five trims are available: S, SV, SL, SR, and Platinum. Wi-Fi is available as an option in any model for $450, though you’ll have to pay for a monthly data plan on top of that. The test car was the base S trim, which starts at $32,510. Standard features include cloth upholstery, power-adjustable front seats, an eight-speaker audio system, two USB ports, satellite radio, HD Radio, Bluetooth, a rearview camera, dual-zone automatic climate control, push-button start and remote ignition, hands-free text messaging assistance, a 7-inch colour display in the instrument panel, and a NissanConnect infotainment system with an 8-inch touch screen, navigation, and voice recognition for audio and navigation. Upgrade to the SV which lists at $34,490, and you’ll get leather seats, heated front seats, and adjustable lumbar and thigh support for the driver’s seat. This trim also includes heated side mirrors, front and rear parking sensors, and the ability to switch to sport driving mode, which sharpens throttle response, steering feel, and transmission tuning. The SL trim costs $36,990 and features a panoramic moonroof, a Bose premium audio system, a heated steering wheel, and outside noise cancellation. Also included are advanced safety technologies such as intelligent cruise control, which maintains a set distance from cars you are following and adjusts your speed if they slow down or stop; forward collision warning and automatic emergency braking, which alert you of an impending crash ahead and apply the brakes if you don’t; and blind spot warning and rear cross traffic alert, which warn you of cars in your way when changing lanes or backing out of a parking space. For the sporty driver, the SR features a sport-tuned suspension and electronically controlled ride dynamics to improve overall performance. For your $37,770, you’ll also get premium leather seating with Alcantara inserts, a leather-wrapped steering wheel with Alcantara, paddle shifters, an 11-speaker Bose premium sound system, heated and cooled front seats, and all the safety features available on the SL. You can also add the SR Midnight Edition package for $1,195, which includes black aluminium alloy wheels, a sport spoiler, and a rear bumper cover. Top of the range is the Maxima Platinum, which starts at $39,960 and builds on the SL trim with premium leather and Alcantara seats and steering wheel, driver’s seat memory settings, heated and cooled front seats, a panoramic moonroof, a Bose sound system, rain-sensing windshield wipers, and two additional safety technologies: Driver Attention Alert monitors your steering patterns and alerts you if it detects that you’re tired and in need of a break, and four exterior cameras give you a 360-degree view around the car when parking and can detect motion when something comes into your vicinity. I was very impressed by this Maxima. It drove well, was nicely trimmed and finished, and looks striking in, I think, a good way. Its size and packaging means that it has few direct rivals, as it does not have the amount of space in it that you will find in a Chevrolet Impala, and it is rather more sporting of intent than the Toyota Avalon or Ford Taurus. In rental car land, it is categorised as a Group G, or Premium Car, along with the Impala and the Taurus, as well as the Buick Regal, VW CC and Volvo S60. I’m not sure any of these are cars that a potential Maxima buyer would consider, though. The nearest I could think of would be the Dodge Charger – a large saloon with sporting pretentions. The Charger is a car I like very much, and to date would have been my default recommendation to anyone looking for a large family car that feels a bit special. In the Maxima, though, it has a new and equally appealing rival. I would willingly drive either.